Beirut (AFP) - The United Nations envoy for Syria on Tuesday said a solution to the eight-year-long conflict begins with confidence building measures and reconciliation between warring parties. "Path to a new Syria begins with confidence-building and reconciliation," Norwegian diplomat Geir Pedersen said on Twitter. "Syrians need to come together to decide and build (a) future," he said. "Scale of challenges facing #Syria and Syrians (is) immense," he said. "Level of destruction in Baba Amr is vast," Pedersen said. "Displaced Syrians have suffered enormously and still suffer. But their strength (is) also inspirational." 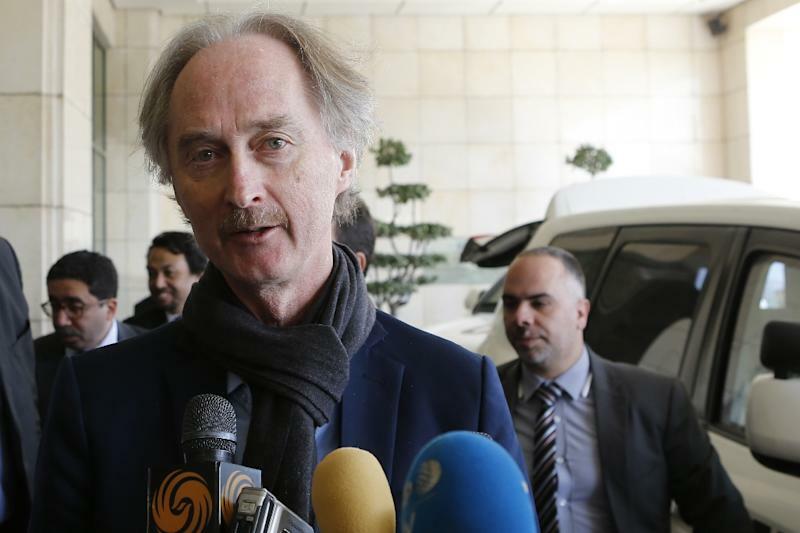 Pedersen landed in Damascus on Sunday, before meeting with Foreign Minister Walid Muallem. The envoy said he held "constructive discussions" with Muallem on implementing UN resolution 2254, which calls for a nationwide ceasefire and a political transition. "Work progressing well, looking forward to furthering the discussions," Pedersen said on Monday. Pedersen became the fourth UN negotiator aiming to resolve the nearly eight-year conflict, following the resignation of his predecessor Staffan de Mistura. Since the start of January, he has travelled extensively to meet with the government, opposition and others.